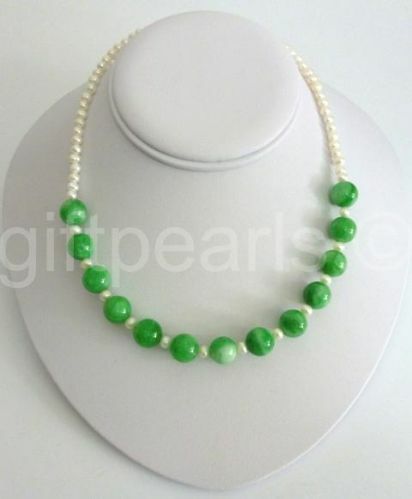 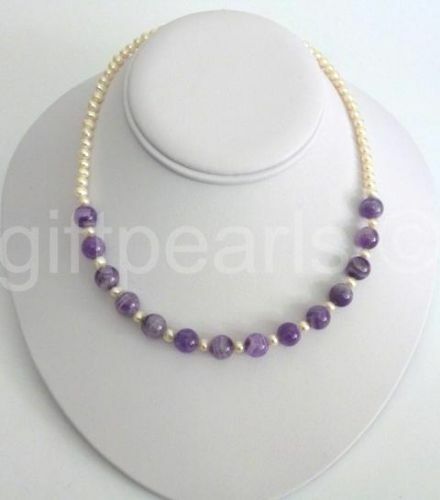 An 18 inch necklace of gleaming, lustrous white 6 -7mm bun-shaped pearls, featuring 3 beads of selected polished jade. 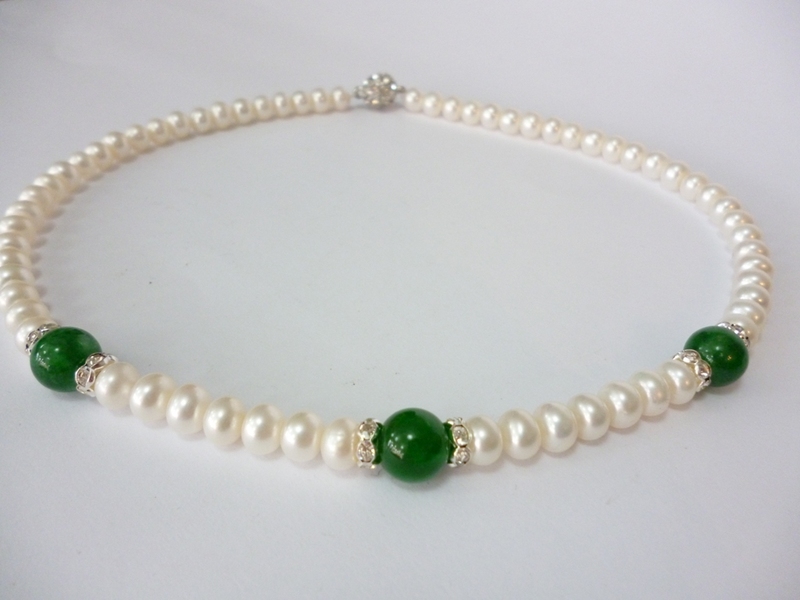 Tiny, sparkling Rhinestone crystals highlight the 10mm green jade and are repeated in the magnetic silver tone clasp. 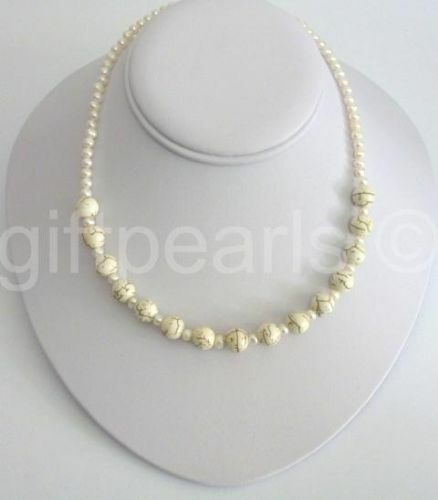 Your necklace comes in a handsome gift box. 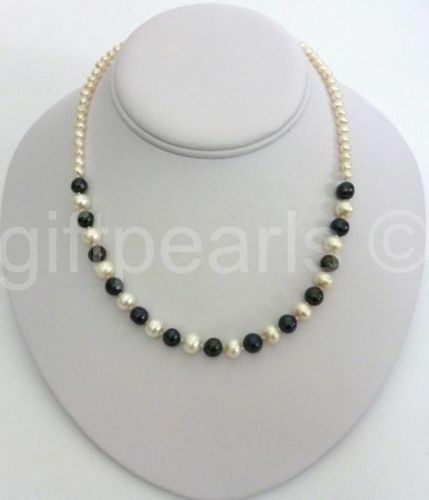 Black and White pearl necklace. 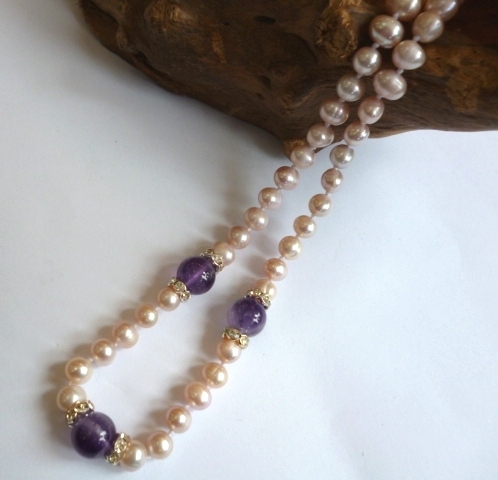 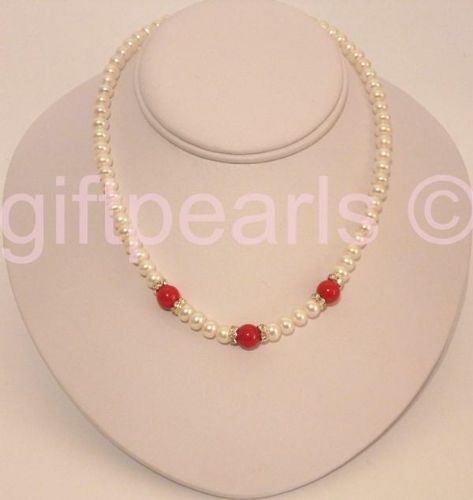 Pearl necklace with featured coral gemstones. 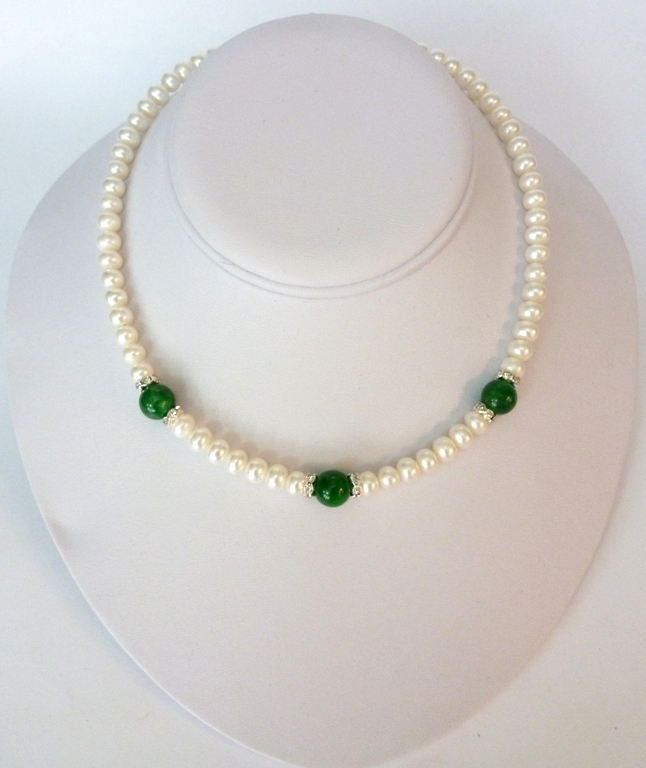 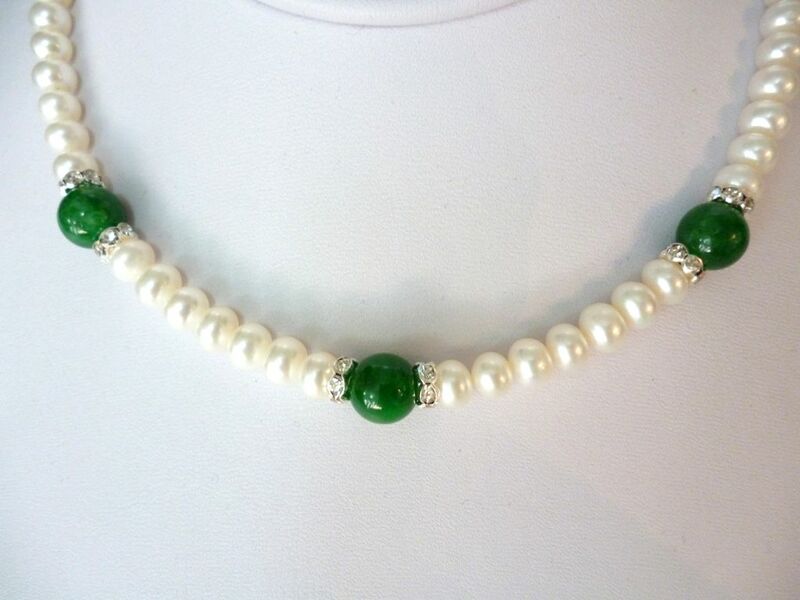 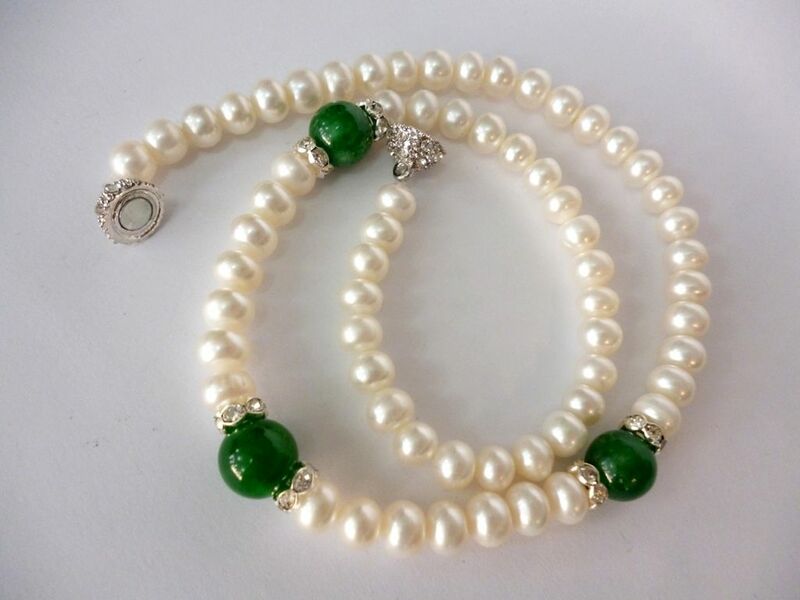 Green jade and white pearl necklace. 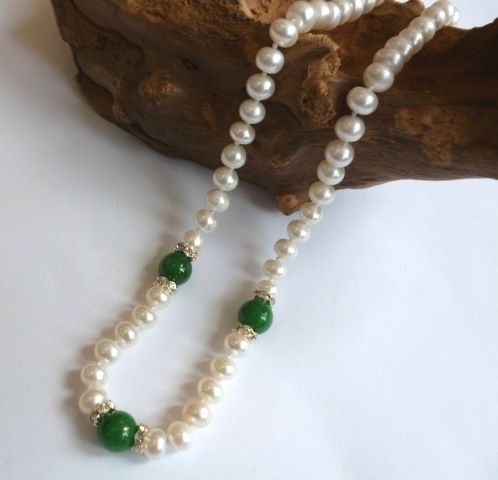 White turquoise and pearl necklace.